When we think of coastal colors, blue and gray come to mine first. We all love those blues and gray when we think of coastal colors but I’d like to feature some of the other colors that are also associated with the coastal color palette. As I’ve mentioned before, the coastal colors are not just the beautiful blue beaches that you see in the daytime but also the subdued hues that are present in the start of our day, the sunrise. See the color palette I have here? Not very typical of the coastal color palette that comes to mind first right? But it is! I took this photograph on Singer Island in Florida and as you can see it’s very much a coastal shot but with some unusual looking coastal colors. 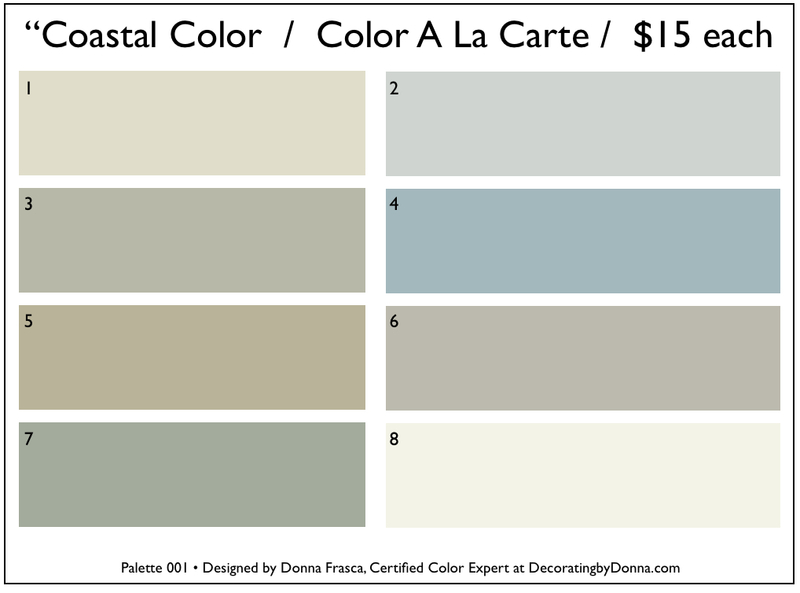 You’re probably used to looking at this type of coastal color palette which is my #1 seller. I’m mean it’s just gorgeous if I do say so myself. The lighter colors for the foyer, the blues for the bedrooms and bathrooms, greens for the guest room and those warm grays for the kitchen depending on what your granite looks like. Did I just describe your home? 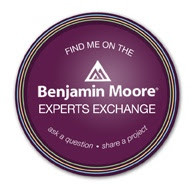 If not, I probably came close didn’t I? Well my point is that this particular color palette is just so very, very popular and it’s popular for a reason – it’s fabulous! These are the colors that will work if you live in your home for years or if you are thinking about selling your home. As a matter of fact I just designed a Color A La Carte palette for a virtual client in Montclair, New Jersey and she chose colors #1, #3, #4 and #6. That’s a great color palette right there. However, looking at the photograph I have above, wouldn’t it be nice to incorporate that dark blue in with this palette? 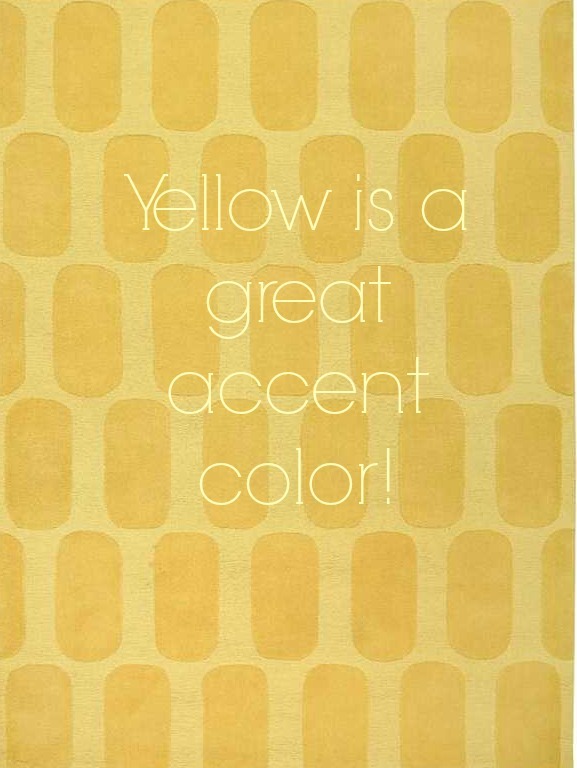 Or even the yellow as your main accent color? Yellow is a really great color in bring into the home if you have a traditional coastal color palette. The Rizzy Home Platoon PL1823 Gold rug by Rug and Home. Pretty fun right? I think so! 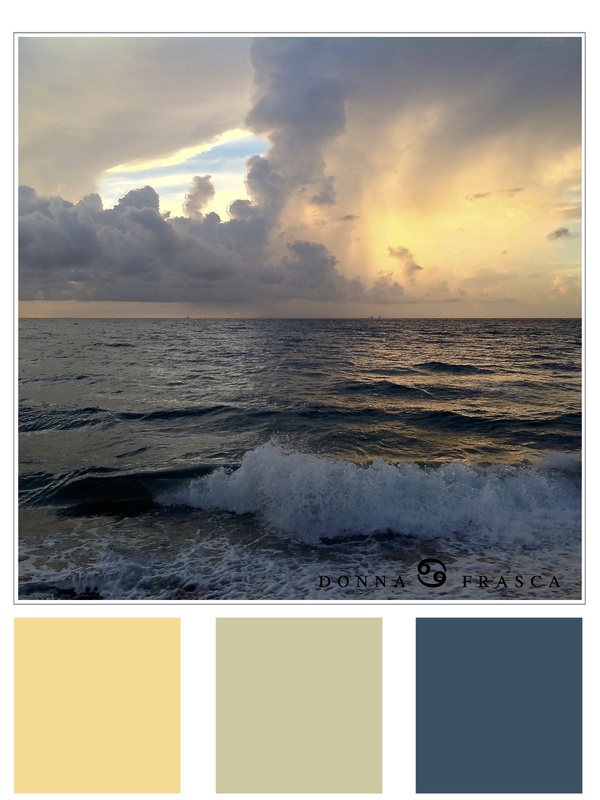 Anyway, keep your eye out for an ongoing coastal theme here on Decorating by Donna after all, it the #1 color palette for the home! This entry was posted in Coastal Colors, Color, Color A La Carte. Bookmark the permalink.